Home / News / Rolling Stone: Radiohead releases sparse ‘Present Tense’ Video. 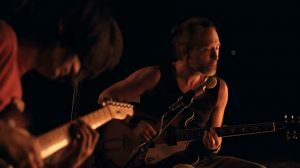 Rolling Stone: Radiohead releases sparse ‘Present Tense’ Video. The video, directed by Thomas Anderson, features just two guitars and a drum machine.